I've seen swatches of the China Glaze magnetic polish, not good. I think it's the magnet that really let the line down. It weird, sometimes it strong and other times it weak and random. Such a shame. I love Layla though! Always turns out perfect! Yeah, I'm hoping the CG magnetics will be better in real life. But I still want to try it's magnet. I have the Metallic Sky and Golden Bronze in these and they work so well. I just wish they did a bright green. Your stars look really good. I didn't know they did a star magnet, mine just have the straight magnet. I think I might get the Golden Bronze one, and they have a Mojito green, not sure how bright it is though. The star magnet is actually off my really old bottle of L'oreal Star magnet polish. These look most excellent! You did really good at getting all the nails lined up right. I found that to be a bit challenging, trying to get them all to line up so that they look uniform. Thank you, I tried really hard to get them all even, but I think the magnet type makes a difference. I find the ones on top of the bottle work well, but are hard to line up with any consistency. Nice! I am loving the magnetic polishes. The ChG polishes are good but the magnet is a bit weak. I find holding it longer to the nail works well. Can I ask what magnets you used for this post? They look great! The magnet I used was one I got from an Austrian online nail shop. There is a pic of it back on this post. I second wanting to know which magnets you used! Also I have to say while I would be happy to get Icing magnetics for you, the magnets on the ones I got are rubbish. The wavy magnet on the Nails Inc polish I have is INCREDIBLE. 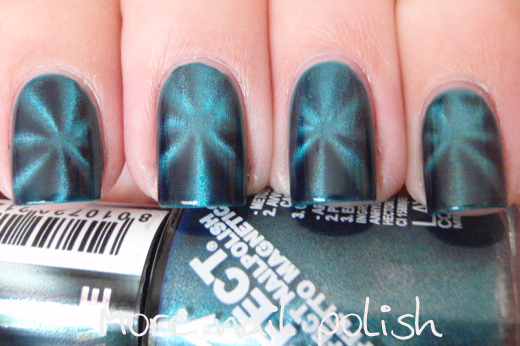 Far and away the strongest best magnet I've tried (and I have the new China Glaze one as well as the Laylas). This post shows the magnet I used. I'd love to do a swap with for a Nails Inc polish with a wavy magnet. Can you email me? I like the star magnet look! Thanks - it's probably the best one I've done, the star is hard to do good consistently. I like the stat too. Thanks Laura. I did try extra hard to make sure I lined them up evenly, although the magnets I used make this easy. Yes please, pretty please, can we do swapsies for an Icing wavy. Can you email me please! 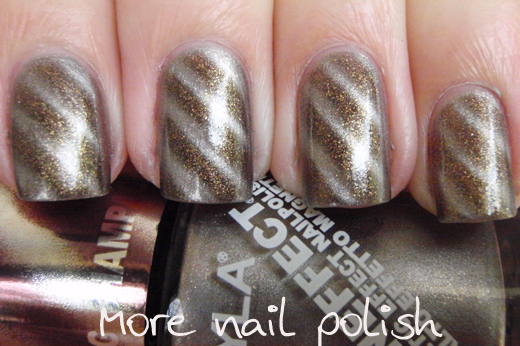 I'm not on the magnetic polish train yet, but that first mani could easily convince me to. Gorgeous! Get on board. I think it's way better than the crackle phase. In person they have a real 3D look to them. 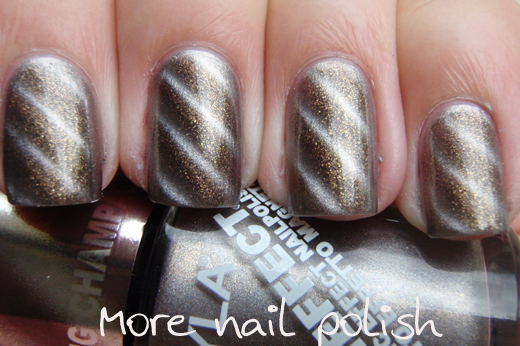 I've not tried the magnetic polishes yet - loving Metallic Sky! 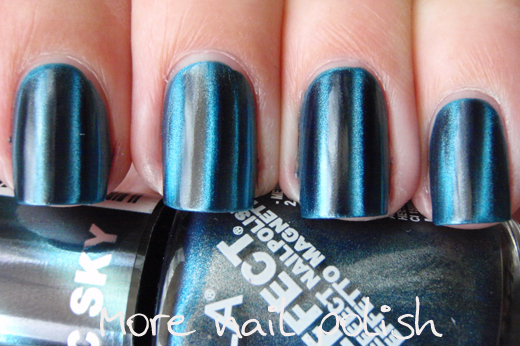 If you like Blue polishes, then metallic sky is for you! Awesome post as always. So much effect for so little trouble. I can't wait to get my hands on some and that wavy magnet you linked to is totally awesome. Thanks! I'm sure you will love playing with magnetics, and I hope I can get that wavy magnet too! Woah! I saw some of these in store the other day and kept on walking after I saw they wanted $20 each :( But they look so good!! How do they compare to your other magnetic polishes? 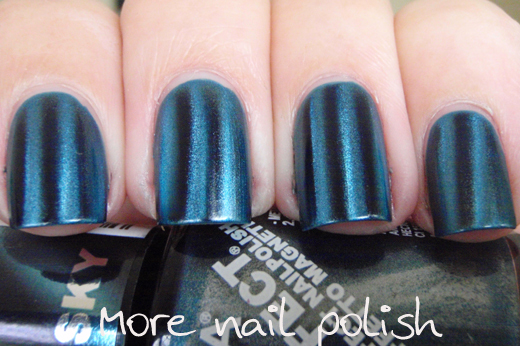 I actually think the Layla polishes have more colour dimensions than the other magnetic polishes I have. Some of the Layla ones seem to have more colours pull through with the magnet. Especially as I was using the same magnet that I was back in this post. 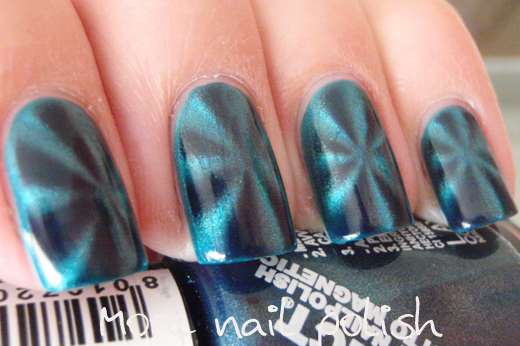 I can't wait to try a magnetic polish. These look awesome! It's so much fun seeing the magnet transform the polishes. I know there are a lot of cheap magnetics on ebay too, so I might try some of them as well. I love your nails! I don't know how you manage to get them so perfect looking every time! I've linked your blog in the post as I was using your Ulta3 - NYC chart. I hope that's ok! Let me know if not, and I'll remove it!